Picture taken at Chestnut Street and Riverside Drive after the Blizzard of 1993 or the Storm of the Century, also known as the ’93 Super storm, the (Great) Blizzard of 1993, was a large storm that occurred on March 12 – March 15, 1993, on the East Coast of North America and Richwood West Virginia. It is unique for its intensity, massive size and wide-reaching effect. 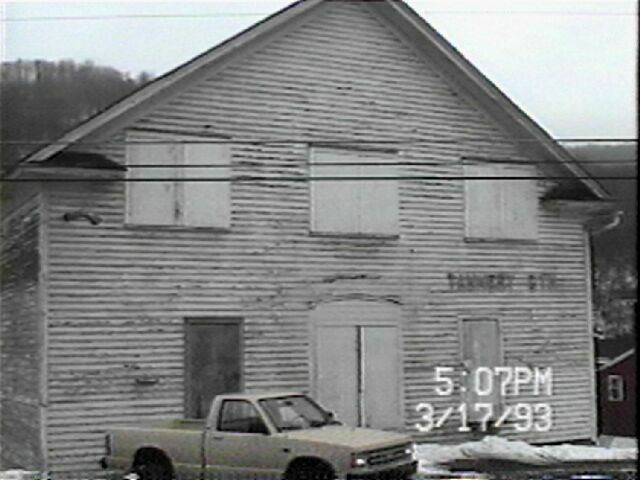 Tannery GYM on Riverside Drive, across from Chestnut Street Richwood W.Va..
© 1993 Photographer, Billybob, Picture currently twenty-seven picture of 54 pictures of Richwood W.Va.